Good people such as you can find themselves in bad situations. Let me guide you toward your goal of becoming debt free as I have been helping consumers find debt relief through bankruptcy for years. I will empower you with the information that you need to make a vital decision to get you a fresh start. Contact me before utilizing monies from your retirement plan, such as your 401(k) or IRA, trying to pay down overwhelming debt. If you looking at my website then you must be thinking about bankruptcy so contact me now for a free consultation to discuss what financial moves to take now if you do decide to proceed with a bankruptcy filing. The last thing you need is a lecture. I am not here to judge. I'm here to help. I received my undergraduate degree from Columbia University in New York, an Ivy League school. I earned my Law Degree from the Baylor School of Law in Texas in 1985, a law school accredited by the American Bar Association. That esteemed recognition is not afforded to all law schools. Chapter 7 bankruptcy — In spite of what you may have heard about the 2005 changes in bankruptcy laws, Chapter 7 remains an option. You can discharge unsecured debt while keeping assets depending on their value and the total value of your exemptions, which I can explain to you after reviewing your particular situation. If your income is less than or equal to the median for households of your size in California, you will qualify. If your income is above the median income in California, then a means test is done to determine if you qualify. In addition, you will be required to attend counseling on credit, budgeting and debt management. If you cannot qualify for a Chapter 7, then Chapter 13 may be right for you. Chapter 13 bankruptcy — Debts are consolidated into a payment plan. A trustee oversees that three- to five-year plan. Upon the final payment, remaining dischargeable debt will be wiped away. Chapter 13 could be a better choice if you have problems withthe IRS, are facing possible foreclosure or repossession, need to catch up on mortgage arrears, strip the second mortgage lien from your home, or allow you to keep possessions that would be taken by a trustee in a Chapter 7. I provide a comfortable environment for you to discuss your specific needs and concerns. When you come to my office, you will find that I offer free coffee and tea. I will take the time to get to know you and craft a solution that works best for you. From the moment I take your case until your case is resolved, I will be personally involved every step of the way. Start the debt relief process with a free initial consultation by contacting me online today. 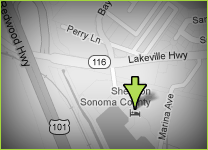 The Law Office of Andrew Kern is conveniently located near Highway 101 in Petaluma. I am a debt relief attorney. I help people file for bankruptcy relief under the Bankruptcy Code. 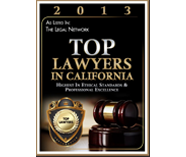 The Law Office of Andrew Kern represents clients throughout the North Bay and the state of California, including Petaluma, Cloverdale, Healdsburg, Rohnert Park, Sebastopol, Sonoma, Windsor, Novato, Mill Valley, Corte Madera, Santa Rosa, San Rafael, Cotati and Napa, as well as Sonoma County, Marin County and Napa County.